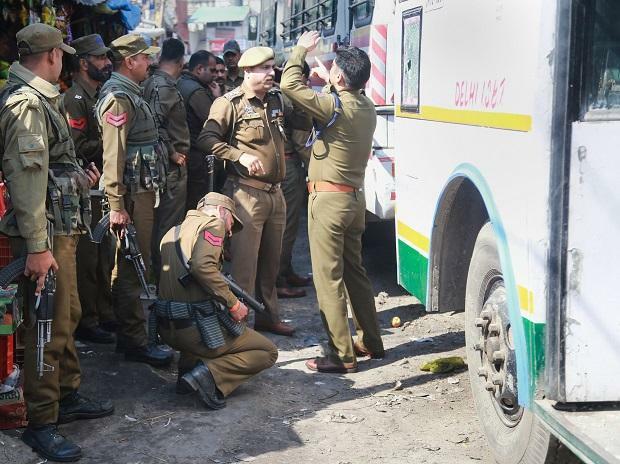 A teenager was killed and 32 others were injured Thursday in a grenade attack by suspected terrorists in the crowded general bus stand area in the heart of the city, officials said. Mohammad Sharik, 17, a resident of Hardiwar in Uttarakhand, who was among 33 people brought to the hospital, succumbed to splinter injuries in the chest, the officials said. The condition of four more injured persons was "critical" and two of them were operated upon by the doctors to save their lives, they said. The injured included 11 residents of Kashmir, two from Bihar and one each from Chattisgarh and Haryana, the officials said. The officer said there was no specific input about such an attack in the city. "General inputs are always there and the deployments have been made. We are working on the leads all the time whenever we get inputs but there was nothing specific about this," Sinha said. The IGP said the police is collecting the evidence and "we are sure to hunt him down (the attacker)." Immediately after the explosion, people ran to safety and later as the situation returned to normal evacuated the injured to the hospital. Police parties along with sniffer dogs and forensic experts rushed to the spot and launched a search operation to nab the attacker, the officials said, adding the operation was still going on when last reports were received. Singh, who is undergoing treatment along with his wife at Government Medical College hospital for injuries, said he felt that somebody hurled something which caused the powerful explosion.